Scratch is a beginner friendly way to program the Raspberry Pi, designed for those who have not programed before and are put off by the random keyboard mashing type code normal programming typically produces. Clearly, Scratch is designed to appeal to kids, however don’t let that fool you, there is a lot that can be done by putting a few blocks together and because you are not distracted by syntax, you can really focus on the design and the task. This lesson will skip over the typical usage (details are provided below in the Getting Started section on some excellent general Scratch resources) and instead we will look at getting Scratch to talk to the hardware. 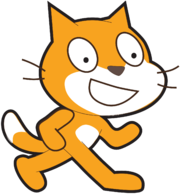 There are lots of great resources available on getting started with Scratch, and I hope that many of you have already had a go with it anyway. Basically, if you have kids who might be interested in the Raspberry Pi, this is about as awesome as you can get. Since Scratch comes pre-installed on the recommended Raspberry Pi distribution (Raspbian “wheezy”), that part is available as soon as you start your Raspbian desktop. 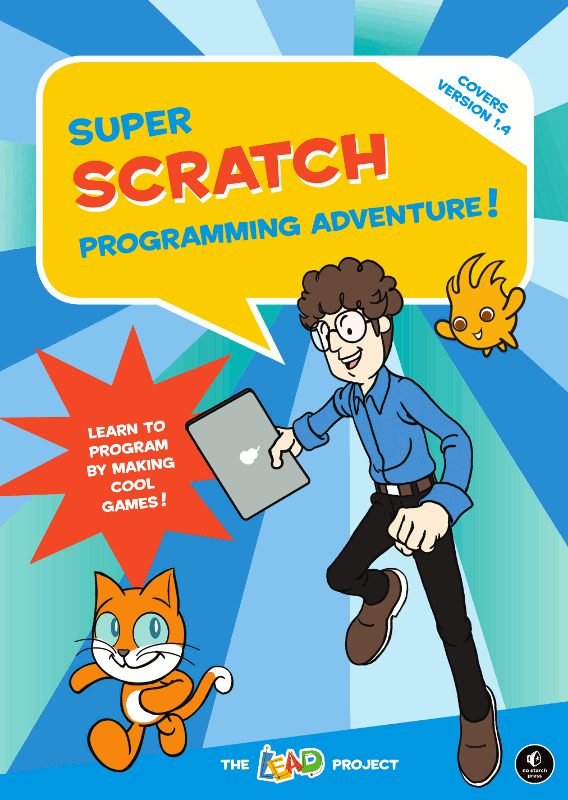 Normally, Scratch’s powers of control extend only to the screen and speakers attached to the Raspberry Pi, and usually actions are directed by the program flow or by external inputs such as the keyboard and mouse. However, Raspberry Pi blogger “SimpleSi” (http://cymplecy.wordpress.com/) has produced a plug-in to allow Scratch to talk to the GPIO pins on the Raspberry Pi too. This allows Scratch to control “real things” and to respond to the “real environment”, which literally opens up a whole new world of possibilities. When you next start your Raspbian desktop you should find an extra scratch icon to run Scratch GPIO (which starts a special script in the background along with the normal Scratch program). It has also been featured in Issues 9 (http://issuu.com/themagpi/docs/issue_9_final/33) and 10 (http://issuu.com/themagpi/docs/issue_10_final/27) of the MagPi. There is also a guide available for the Pi-Stop and setting up Scratch GPIO with that (this setup is the same, but there are some additional tips if you have problems). Aside from the direct interaction mentioned above, Scratch can also shout (called “broadcast”) to anything which is listening and can also hear (called “receive”) any other things which are shouting too. 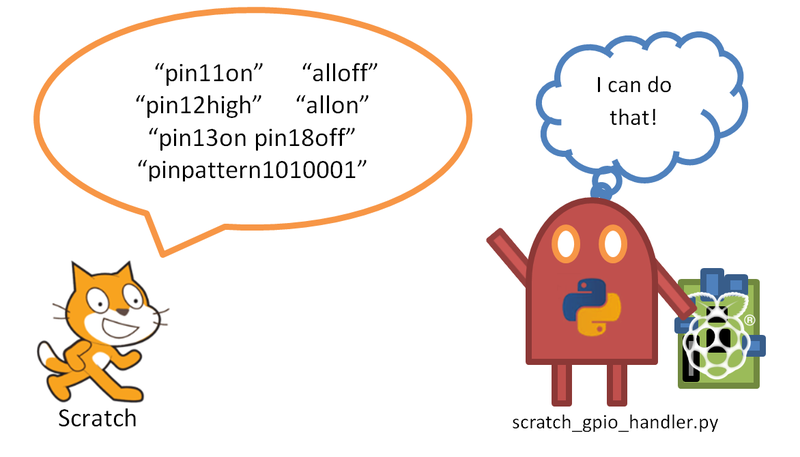 The python program “scratch_gpio_handler.py” runs in the background and is set up to listen any of these broadcast messages and turn them into GPIO actions. The current scratch_gpio_handler.py has the GPIO pins fixed to the following inputs and outputs. The pin numbers given, are the pins as counted on the P1 GPIO header itself. You will need to see SimpleSi’s blog post for more information. To use the input pins, see the blog pages for more information. The pins which are allocated to outputs are slightly different to the ones we’ve previously used with python. Below shows the GPIO connections we will use for Scratch (currently only 7 outputs are available so LED05 will need to be connected to 3V3 Pin1 – to keep it disabled). This reminds us what state each pin should be to ENABLE and DISABLE the LEDs. The key aspect here is that to light up a specific LED we need both the required RGB pin(s) enabled (switched ON) and the specific LED pin enabled (switched OFF). So if we are using the broadcast block in Scratch we shall need to say “pin18off pin11on” to light up LED3 with RGB_RED. Of course we shall also need to put the pins into a default state (i.e. all disabled). We can use the “pinpattern” broadcast to set all the pins as we require. The above wiring means that the first 3 “bits” are our RGB pins, and the last 4 are our LED1-4 pins. WARNING – Take note of the order of the pins when controlling using the pinpattern broadcast. The Pins are ordered as follows: 21,18,16,15,13,12,11. While you are free to command pins individually using the pinXon/pinXoff commands, I find it easier to use the pin-patterns to ensure all the pins are in the state I am expecting (it also makes it easier if you start swapping blocks around). Using the above script, we can make Scratch move by moving the mouse, and change the colours shown on the RGB-LED kit to match Red, Green and Blue as Scratch moves over the background colours. Detailed steps for building this script are given in Lesson 3 (Scratch GPIO) – Some Simple Steps (if you are confident with using Scratch already and are able to produce the above without help, you may skip it). Using the bit patterns may be confusing at first (in particular enabling the LEDs by switching the pins OFF), and long term this is not a friendly way to control the RGB-LED kit. Fortunately, we can do a little work behind the scenes and help Scratch out by providing some RGB friendly commands for him to shout about! I shall cover that in another lesson soon. Take a look at the Scratch GPIO site, there is a much more recent version available which included support for the RGB-LED kit directly (I’ve just not had chance to try it myself yet and update the pages). reordering the wget command gets better result…. I shall have to give that a try… scratch GPIO 7 is out now so I should update this guide when I get chance. Thanks!